In October 2013, Sonia Pereira brought her two children from Brazil to Casper, Wyoming to marry her fiancé following a five year engagement. Soon after getting married Sonia discovered he was not who she thought he was. She fled the abusive relationship after three months of marriage, leaving her on her own with two children in a foreign country. Although Sonia spoke English, her children Lydia and Luiz spoke limited English. Together, they all had to sink or swim. Living in a shelter and with no way to find employment due to her unusual immigration status, the kids began to focus on school, while mom focused on the long court processes of divorce and immigration. Lydia spent her time improving and learning English. “I’m a very stubborn person” Lydia says. “I didn’t let anyone speak to me in Portuguese because I wanted to learn English quickly.” It took her one month to learn the basics and six months to pass the ESL proficiency exam. Luiz taught himself English by playing video games. Both Lydia and Luiz knew that it was vitally important to speak English well. By the time she and her brother graduated Natrona County High School, they graduated with honors. Despite graduating high school with honors, Lydia’s immigration status prevented her from applying to Casper College, but she never gave up. Faced with hardship, having limited access to food, clothing and, at times, shelter, the Pereiras scratched out a living. The hope that they would have the ability to attend college and work towards a better life kept them all going. They walked miles to get groceries, and Sonia made the walk to campus every day to attend classes at the Adult Learning Center to obtain her GED. Although already a high school graduate in Brazil, Sonia knew the value of having an American equivalency. After a long and hard battle through the courts, Sonia was granted a divorce and the family received their permanent resident alien status. This meant that they could finally obtain employment and go to Casper College. When Lydia was finally admitted it was a bewildering experience. Leanne Loya, director of student recruitment and retention, stepped in to help. “When I felt like giving up, Leanne convinced me to stay and guided me towards classes with teachers who helped me succeed.” One of those teachers she credits with going out of her way to help her succeed was Casper College English Instructor Julia Whyde. Julia’s background working with non-native English speakers helped Lydia pass her requisite English courses with a solid grasp on writing and reading in English. Now both in the nursing program, Lydia and her brother Luiz work together on tough homework assignments. Lydia admits that going to class and living together can put a strain even on close relationships. They have discovered where one struggles the other succeeds so they combine their talent to help each other. Their mother Sonia is also a student and working hard to get into the nursing program. Both Lydia and Luiz receive the Henrietta Neighbor’s Scholarship which has eased the financial burden of school. Sonia is a recipient of two foundation scholarships. Luiz focuses on being the best student he can. He says, “Even if you are in a difficult situation, working towards a goal means that the time is not wasted”. 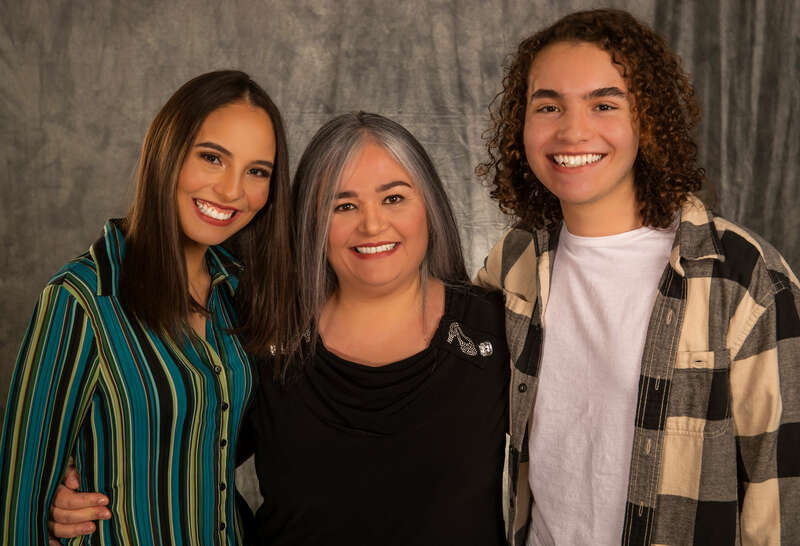 The future looks bright for the Pereira family given the obstacles they have already overcome through hard work, desire and a little bit of a stubborn streak.